Though the specifics of your estate plan should be based on your individual circumstances and goals, there are a handful of estate planning documents common to most comprehensive and effective plans that you should understand when speaking with your estate planning lawyers. You may have heard phrases like "wills and trusts" or "durable power of attorney" or "health care proxy." It makes the process less overwhelming once you understand what those terms mean. 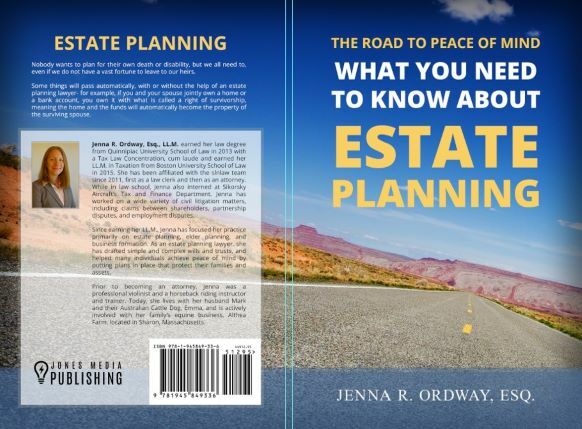 Request your free copy of our book "The Road to Peace of Mind- What You Need to Know About Estate Planning". A Will: in a will, you can designate things like who will raise your minor children, who gets any assets of yours that do not pass automatically, and other specific bequests. A Trust: there are as many different kinds of trusts as things you might want to do with them. Basically, a trust is something you create to hold assets for the benefit of somebody else. You might, for example, create a trust that receives all of your assets so that income can be used by your spouse during his/her lifetime but ultimately distributes the assets to your children. Another type of trust can be used to minimize estate taxes or protect your assets from some of the costs of long-term care. A Health Care Proxy: this designates the person you want to make medical decisions for you if you are incapacitated. A Durable Power of Attorney: this designates the person you want to make financial and legal decisions for you if you are incapacitated. ​A will, or Last Will and Testament, is the document in which you identify how your assets are distributed after you die. If you die without a will, your assets will be distributed by the probate court according to Massachusetts law, which will either distribute all assets to your surviving spouse or divide among spouse, children, and other potential heirs, depending on your family situation. Even if this is what you actually want to happen, without a will you lose the opportunity to determine which assets go to which of these beneficiaries. For example, you may want your estate evenly distributed like this in terms of value, but hold certain assets that you would prefer to go directly to your children. With a will, you can specify that the piece of land that has been in your family for generations go directly to your children, and leave larger portion of some other asset to your spouse to even things out. You can also specify in your will who you want to care for your children if both you and the other parent are deceased, who you would like to be responsible for administering your estate, and authorize that person to shut down or manage your social media and other aspects of your "digital footprint." A will must meet be properly signed and witnessed in order to be valid. Unlike some other states, in Massachusetts you cannot make a valid will by handwriting and signing it (sometimes called a holographic will). If you want to change an existing will through a separate document (called a codicil), that document also will have to be properly signed and witnessed according to law in order to be valid. What is a Trust and How Are Trusts Used? Trusts are a common tool in estate planning that allow you to direct some or all of your assets to a trust for the benefit of your heirs instead of directly to them. Trusts can avoid the process of probating your will in court, which can be costly, provide for children or adults with special needs without disrupting government benefits, protect the assets you leave behind from creditors, and, in some cases, protect your assets during your lifetime if you need long term care. A trust can also allow you to take care of the financial needs of your surviving spouse while preserving the core assets for your children when that spouse dies. Within the trust, you can identify a trustee, who will have discretion to administer the trust, but you can provide specific guidance to that individual about how you would like those decisions to be made. A trust can be revocable (you can change your mind),or irrevocable (you can't change your mind). In some circumstances it is required that the trust be irrevocable in order to achieve your asset protection goals. It is important for you to understand that both wills and trusts are part of a comprehensive estate plan. Not all of your estate planning is about what happens after you die- you can also avoid family disputes, dissipation of assets, and needless heartache by planning for a time during your life when you may be unable to make decisions for yourself. A power of attorney allows you to name someone you trust to access your assets and make financial decisions on your behalf if you become incapacitated. The person who holds your power of attorney could pay your children’s tuition, pay your mortgage, obtain a loan on your behalf, and otherwise make all of the day to day decisions that you are unable to make. A health care proxy designates a person to make health care decisions for you if you are unable to do so yourself. You can give that person instructions on what your wishes are, including whether you wish to be placed on life support. You can also include what kind of treatments you do or don't want under various circumstances. People sometimes confuse the health care proxy with a living will. A living will is essentially an advance directive letting your family know your preferences regarding medical or end of life care. Massachusetts does not recognize living wills, but they can still provide valuable guidance for the person you designate as a health care proxy, and could be effective if something happens to you in a state that does recognize living wills. These documents are not required to accomplish the other goals of your estate planning (asset protection,avoiding probate, minimizing tax liability, etc. ), but they can be vitally important in giving your family and your health care providers a clear path in the event that you become incapacitated. "Slnlaw did a fantastic job.... Their attorneys were very friendly and knowledgeable, and I never felt pressured to purchase any service. I would definitely recommend them!" Michael S.
"It was a pleasure working with with Emily Smith-Lee... She willingly shares her expertise and always listens to her clients' concerns. Emily's caring demeanor puts people at ease immediately. The outcome of my experience was quite favorable. I would highly recommend them." Camille B. "SLN Law was prompt, courteous and very professional. Emily responded quickly to my request, was very knowledgeable on the topic I needed help with and provided reasonable, sound advice. I would definitely recommend this law firm to others and would use them again, if needed." E.C. 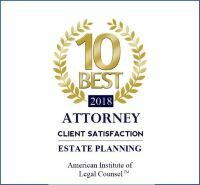 ​"From my first conversation with Emily, I knew I had picked the right law firm to handle my Estate Plan after having procrastinated for some time before I decided it was time to get my estate in order. Previously, I spoke with a couple other lawyers and I did not feel comfortable with their approach prior to calling Emily. Jenna did an excellent job in assessing what I wanted to accomplish and completed my will, trust and other documents in a very short time. I am so happy I made the right choice in choosing slnlaw as my estate team.." Evelyn W.
Planning for a child with special needs: if you have a child with special needs, this may not change the basic structure of your estate plan (a combination of wills and trusts as well as the incapacity documents described above), but it may require you to tailor those documents a little differently. For example, if you are leaving assets to a child with special needs you may want to make sure that you have a special needs trust in place that allows them to benefit from your legacy without putting their eligibility for state and federal benefits in danger. Estate planning if you or your spouse are not U.S. Citizens: Again, the basic structure of an estate plan remains the same, but there may be provisions you need to include in your wills and trusts to ensure that your wishes are carried out and enforced. Estate planning for the blended family: if you or your spouse have children from a prior marriage or relationship, whether those children live full time with you or not, you and your spouse should have at least a will, and most likely a trust that ensures the assets you each want preserved for your children are preserved for them. Estate planning for empty nesters: once your children are grown and out of the house, and especially after you have finished paying for college and other major expenses for them, your goals for your estate plan often change. with these major expenditures out of the way, assuming you have a solid plan for retirement, you may now be in a position to shelter some assets from the costs of long term care in future by creating a Medicaid irrevocable trust. Thinking about your estate planning provides an invaluable opportunity for you to communicate with those closest to you about your wishes and intentions. If you have young children, that conversation may be with your spouse and/or your siblings; if you have grown children, or other individuals who are important in your life and your planning, you may want to bring them in on your planning while you have the ability to communicate clearly. If the people closest to you understand why you have set things up the way that you did, there are less likely to be hurt feelings and disputes, and you are better positioned to leave your loved ones with your financial and personal legacy intact. We are ready to help. We have a simple process for getting you from wherever you are now to executed and final documents. It starts with an initial consultation, which is absolutely free. You can use the button below to schedule your consultation, or simply give us a call at 781-784-2322, or fill out our web form. Starting the new year right: estate planning resolutions to consider in the new year. What you should consider when naming an executor /personal representative in your will. Reasons a will alone may not be enough to accomplish your estate planning goals. Estate planning tips for new empty nesters. Once you have a plan in place, learn about the ​5 major life moments that may give you a reason to review and possibly revise your estate plan. How often should you review your estate plan​? Learn how to make the most of your first estate planning session. Issues women should consider in addressing their estate planning needs.